If you've been reading the Foreigner series, then you won't want to miss this book! The fighting is in and around Bren Cameron's country estate, as Bren must negotiate with Machigi to prevent a full out civil war. Again. If this is your first contact with Cherryh's Foreigner series, stop! You really need to go back to the very beginning of the series. There is way too much that you've missed to start with this book. Ilisidi and the young son, Cajeri. The dowager continues to be a powerful and unpredictable force, with an agenda of her own. And Cajeri is a continuing surprise. Excellent narration, though a bit slow. But the Atevi voices feel right. A great series. Highly recommended!! 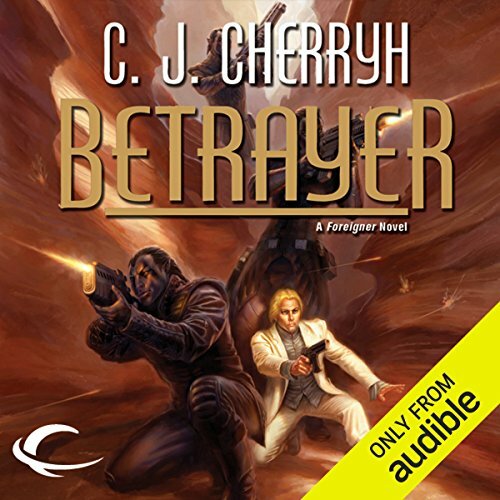 Where does Betrayer rank among all the audiobooks you’ve listened to so far? The book is a classic, the best long series I know of and I have been reading Science Fiction for over 50 years. 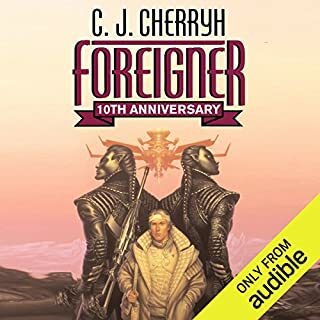 Just start at the beginning of the Foreigner Series and DON'T STOP. What was one of the most memorable moments of Betrayer? The 8 year saves his grandmothers life. He reads with a love of the story, very very impressed. I laughed - cried and happily missed meals. I never thought I would find the series I like so much!!!!! There's nothing I can write, because any molecule of information may spoil your enjoyment of the series. One thing is definite The Series is in my TOP 10 LIST!!!!!!!!!!! Would you listen to Betrayer again? Why? Yes. This is the capstone book for the forth sequence of the Foreigner series. Cherryh has pulled off something that is very difficult, if not impossible. She has kept the series fresh, yet informs new readers during the introduction of each book of the action that has occurred previously. 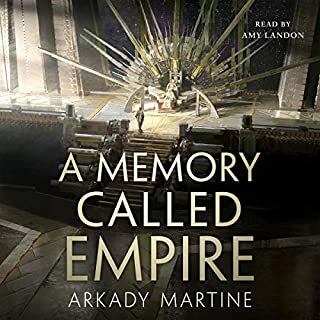 In this series, Bren Cameron is back on the world, and we are introduced again to Cajeiri, who is growing into his role as heir apparent with a considerable lack of grace -- although he is trying hard to behave and do as he should. Cajieri. His antics and immature thougts reflect Cherryh's background as an educator. His antics get him into a lot of hot water, but also serve to help drive the main plotline. Like many children, he lives encapsuled by an adult world which affects him, but which he can affect only minimally. In this third book, Cajieri is starting to mature, as he moves toward his ninth birthday. I think my favorite part is where he is trying to help his grandmother, and when bombs are thrown at Cameron's house, he is knocked down. But his main concern as he comes to himself is that he broke the tea service. Yes. I had a hard time breaking away to do other things I needed to do. 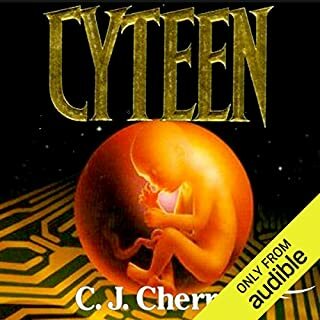 Concurrent with listening to this series, I re-read Cyteen, Regenisis and Forty Thousand in Gehenna. 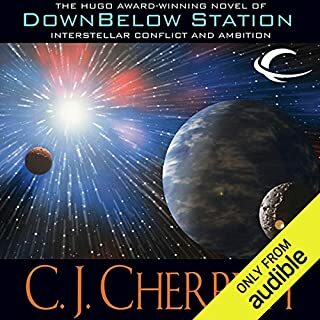 Cherryh is an author I re-read periodically, as a reminder of how good plotting and excellent writing actually work. Her writing is dense, packed with information on every page, yet well-paced and enjoyable. Awesome! One of the best science fiction series. Yes, again and again. The story really keeps you on your toes. The way Bren Cameron handle the negotiation with Magichi to prevent a civil war is really awesome. When Tabini Aji came to find Bren. The heir, Cajeiri trying to be helpful despite being thwarted at every move. He is turning out to be a good future ruler. I also like his obvious regard for Bren. Please continue this series! 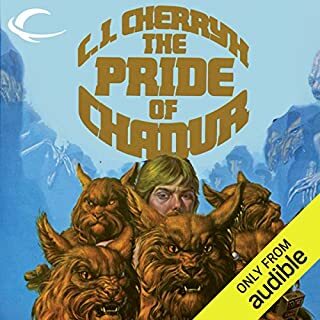 C J Cherryh is indeed a very talented writer! I've been reading these books quite a while now. This book and the preceding one or two seem to be really drawn out they all could have been convinced that the one book frankly. It's getting rather tedious to keep hearing about the same revolt maybe in slightly different ways but it's an old story now we don't need to keep hearing about it. So many intriguing elements in this book make it stand out in the series. Manchi is awakened in Cajeri, and the emotional descriptions are fascinating, as are Bren, Ilsidi and Cajeri's strategic thought processes. Barb learns some important lessons at last. Interior guild politics are more openly described. Things really happened. The world changed. 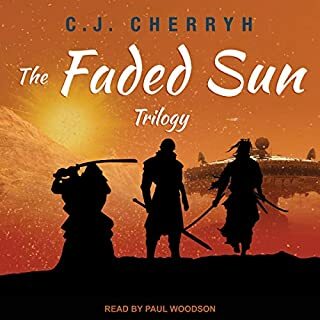 His voices are very distinct and feel right for the characters, except for Tabini. So many! There were two for Cajeri: 1. His internal realization of what manchi feels like, and also his awakening grasp of strategy on a global scale. 2. When he saves the day with his slingshota. For Bren, his chiropractic session in the enemy palace and his brilliant/terrifying negotiations with Magichi. Also loved the whole side plot with Cajeri's new guild brother/sister team. Great addition and plot device. Narration was most impressive. Story line ties in nicely from *all* previous books (and even entertains on a stand-alone basis, according to friends who have listened only to one part!). I would (and have) recommend it most successfully to fellow listeners and readers. Nice work! James Bond meets Downton Abbey. I love the combination of intrigue and courtly manners. Cherryh’s Atevi are fantastically well thought out and three dimensional. Outstanding characters, both relatable and alien at once. Love this series! Three books to do what one should have been able to tell. Lots of shooting and such near the end of this one, but really not much happened there as well. At this point in the series the constant tea drinking and over politeness is too much for me. Bad enough if I had to read it, but there must be several hours of it in each series and it needs to be shortened. Going to listen to other books for a while before coming back to the next sequence.